3 Bedroom End of Terrace House For Sale in Gravesend for Asking Price £425,000. Are you looking for a family home with parking & space yet need to be in reach of the train station? Look no further! This period home offers luxury accommodation for you & your family. A large rear extension creates a beautiful 31ft kitchen/diner which has been recently modernised; a great space for entertaining. There is a bay fronted lounge with study area & modern downstairs shower room. The property offers three well proportioned bedrooms & a family bathroom. There is a landscaped rear garden with decked area as well as double garage. 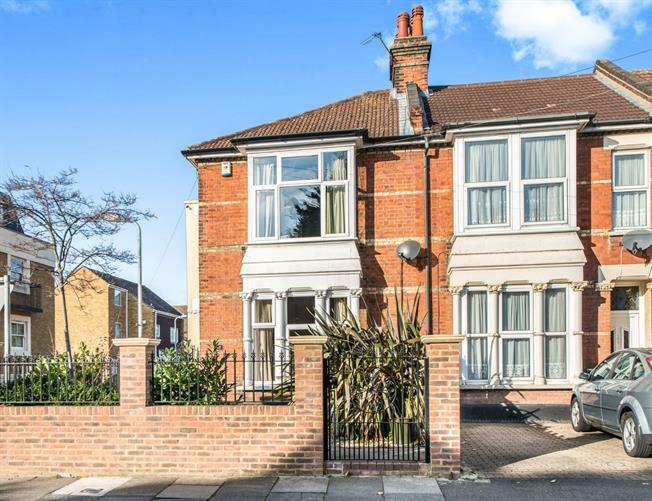 This well presented family home is situated in a sought after & historic road in Gravesend; a great location for those working in London as it is situated 0.5 miles to the station for the high speed train link to London, approx 20 minutes! For families seeking a high quality education, this home is close to some of Kent's most popular & outstanding Grammar Schools & Preparatory Schools such as, The Bronte and Gads Hill.